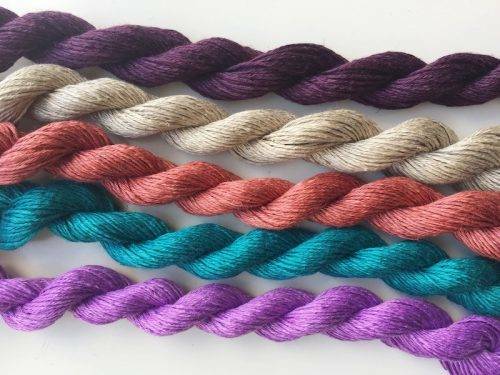 By popular demand, just in time for warm weather: Euroflax Mini Skeins are back! 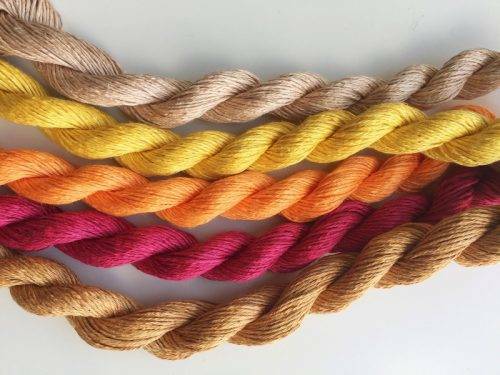 Exclusively available from MDK, each set includes five 65-yard mini skeins of Louet Euroflax linen yarn, in saturated colors selected by a legendary palette-picker, Melanie Falick. There are six palettes to choose from, while supplies last. It’s glorious color. 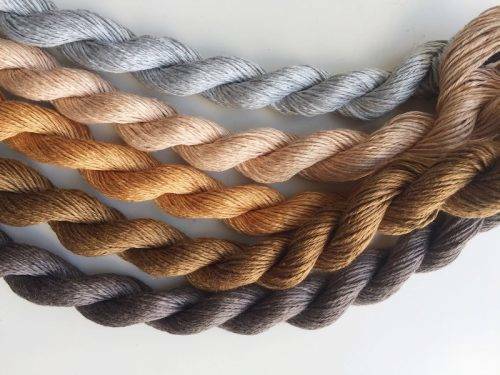 Linen takes dye like no other fiber, and has a beautiful sheen. But . . . What to Make? 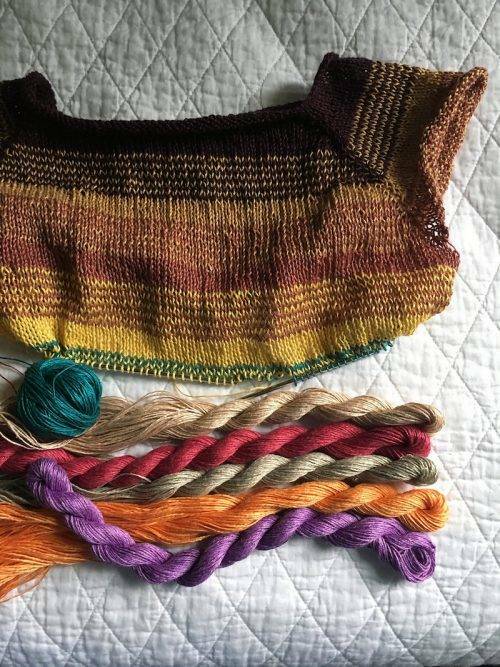 What can you make with mini skeins? We have suggestions! 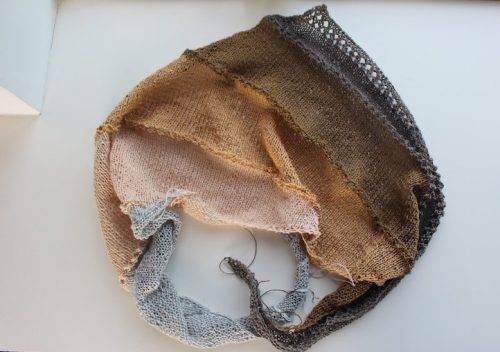 Designer Julia Farwell-Clay had Euroflax mini skeins specifically in mind for the Bodhi Leaf Washcloths in Field Guide No. 7: Ease. An elegant gift. MDK’s beloved Nell Ziroli designed Liminal, a striped summer tee that makes the most of Euroflax minis. 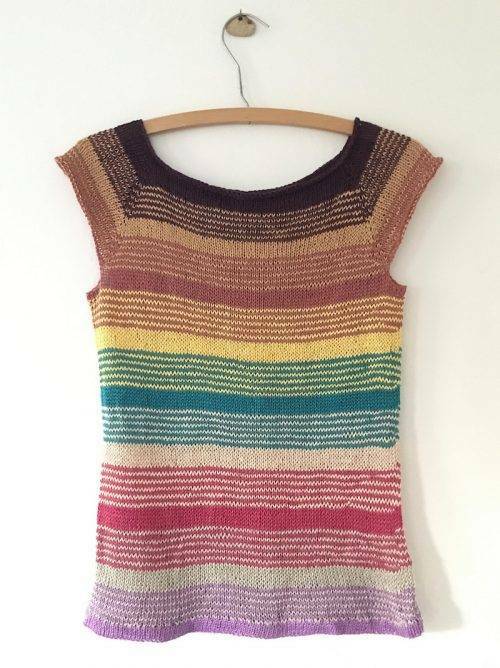 Nell’s beautiful tee, with its cleverly engineered transitions, is a perfect summer top. 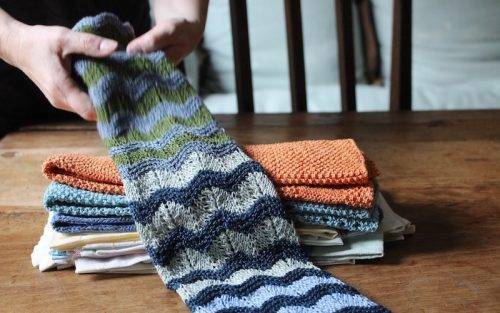 I’m hankering to play with these stripe patterns. 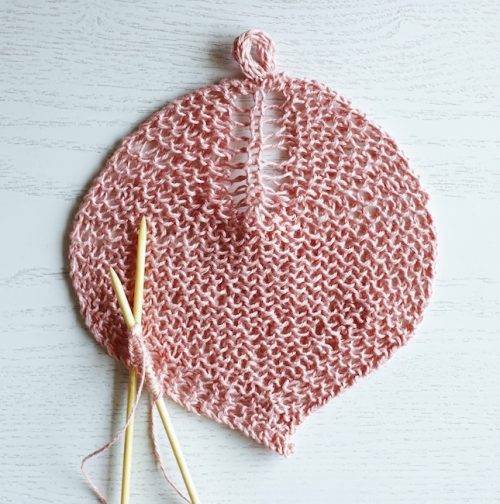 And finally, you can’t go wrong with a good old hand towel color party. Chevron Stripes Hand Towel is powder-room tested, Kermit approved. Producing mini skeins is a laborious business, and our supply is not eternally assured. 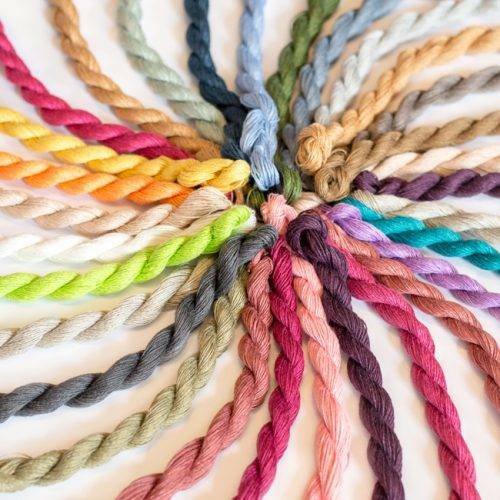 If you’re a true mini skein fan, get ’em while we’ve got ’em, and have a blast knitting with cool, colorful linen.